Siddhartha is a novel by Hermann Hesse, an award-winning Swiss-German poet and novelist. A Western novel that takes place in India, the storyline follows Siddhartha's spiritual journey during the time of Buddha. 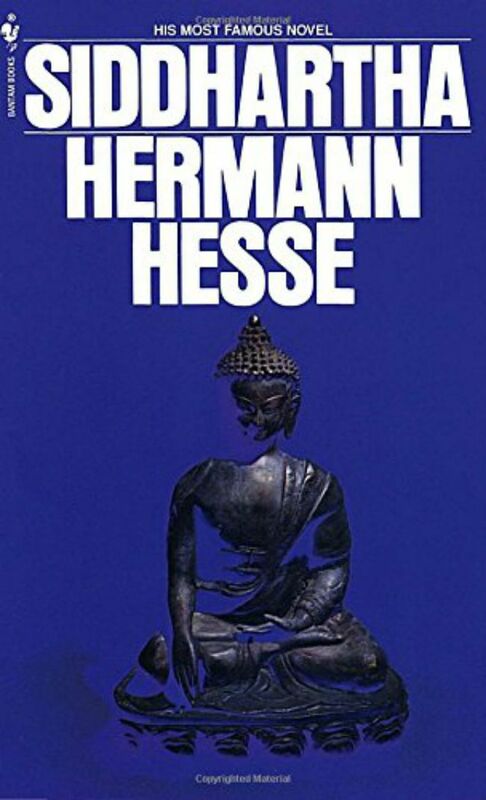 Exploring themes of enlightenment, the balance between opposites, love, and indirection, the episodic book reflects Hesse's own pacifist outlook and Eastern influence. Here are a few quotes from the work on the quest for self-discovery and nirvana. "Was Atman then not within him? Was not then the source within his own heart? One must find the source within one's own Self, one must possess it. Everything else was seeking—a detour, error." "When all the Self was conquered and dead when all passions and desires were silent, then the last must awaken, the innermost of Being that is no longer Self—the great secret!" "Siddhartha was silent. He dwelt long on the words which Govinda had uttered. Yes, he thought, standing with a bowed head, what remains from all that is holy to us? What remains? What is preserved? And he shook his head." "You have renounced home and parents, you have renounced your own will, you have renounced friendship. That is what the teachings preach, that is the will of the Illustrious One." "The teaching which you have heard...is not my opinion, and its goal is not to explain the world to those who are thirsty for knowledge. Its goal is quite different; its goal is salvation from the suffering. That is what Gotama teaches, nothing else." "I, also, would like to look and smile, sit and walk like that, so free, so worthy, so restrained, so candid, so childlike and mysterious. A man only looks and walks like that when he has conquered his Self." "I, who wished to read the book of the world and the book of my own nature, did presume to despise the letters and signs. I called the world of appearances, illusion. I called my eyes and tongue, chance. Now it is over; I have awakened. I have indeed awakened and have only been born today." "That was the last shudder of his awakening, the last pains of birth. 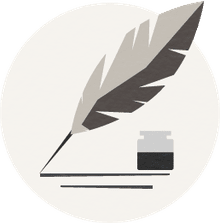 Immediately he moved on again and began to walk quickly and impatiently, no longer homewards, no longer to his father, no longer looking backward." "She taught him that lovers should not separate from each other after making love without admiring each other, without being conquered as well as conquering, so that no feeling of satiation or desolation arises nor the horrid feeling of misusing or having been misused." "Siddhartha's sympathy and curiosity lay only with the people, whose work, troubles, pleasures, and follies were more unknown and remote from him than the moon. Although he found it so easy to speak to everyone, to live with everyone, to learn from everyone." "He rose, said farewell to the mango tree and the pleasure garden. As he had not had any food that day he felt extremely hungry, and thought of his house in town, of his room and bed, of the table with food. He smiled wearily, shook his head and said good-bye to these things." "The wheel of appearances revolves quickly, Govinda. Where is Siddhartha the Brahmin, where is Siddhartha the Samana, where is Siddhartha the rich man? The transitory soon changes, Govinda, you know that." "Now, he thought, that all transitory things have slipped away from me again, I stand once more beneath the sun, as I once stood as a small child. Nothing is mine, I know nothing, I possess nothing, I have learned nothing." "As a child, I learned that pleasures of the world and riches were not good. I have known it for a long time, but I have only just experienced it. Now I know it not only with my intellect but with my ears, with my heart, with my stomach. It is a good thing that I know this." "Nothing was, nothing will be, everything has reality and presence." "It was true that he had never fully lost himself in another person to such an extent as to forget himself; he had never undergone the follies of love for another person." "Siddhartha realized that the desire that had driven him to this place was foolish, that he could not help his son, that he should not force himself on him. He felt a deep love for the runaway boy, like a wound, and yet felt at the same time that this wound was not intended to fester in him, but that it should heal." "Had not his father suffered the same pain that he was now suffering for his son? Had not his father died long ago, alone, without having seen his son again? Did not he expect the same fate? Was it not a comedy, a strange and stupid thing, this repetition, this course of events in a fateful circle?" "All of them together was the stream of events, the music of life." "From that hour Siddhartha ceased to fight against his destiny. There shone in his face the serenity of knowledge, of one who is no longer confronted with conflict of desires, who has found salvation, who is in harmony with the stream of events, with the stream of life, full of sympathy and compassion, surrendering himself to the stream, belonging to the unity of things." "Seeking means: to have a goal; but finding means: to be free, to be receptive, to have no goal." "Therefore, it seems to me that everything that exists is good—death as well as life, sin as well as holiness, wisdom as well as folly. Everything is necessary, everything needs only my agreement, my assent, my loving understanding; then all is well with me and nothing can harm me." "He saw all these forms and faces in a thousand relationships to each other, all helping each other, loving, hating, destroying each other and become newly born. Each one of them was mortal, a passionate, painful example of all that was transitory. Yet none of them died, they only changed, were always reborn, continually had a new face: only time stood between one face and another."